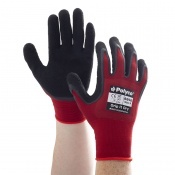 The Polyco Polyflex Hydro C5 TP PHYKTP Cut Resistant Safety Gloves are knitted water-repellent gloves ideal for heavy construction and engineering in wet conditions. 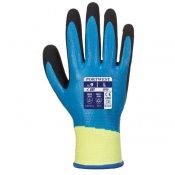 They feature a lightweight liner for a fantastically high level of cut, abrasion and tear resistance as well as impact protection on the back of the hand. 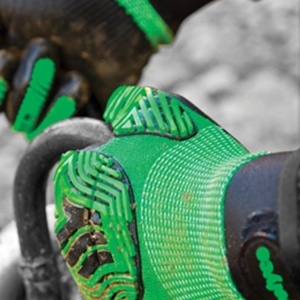 Unlike most other water-resistant gloves, the Hydro C5 TP gloves have a hydrophobic solution applied to them to keep hands dry in wet conditions. This means that the gloves don't have to be fully coated and offer an exceptional level of flexibility while still being great in wet conditions. The Hydro C5 TP gloves also feature a nitrile foam palm coating. This gives the palm of your hand an incredible level of cushioning as well as grip, ensuring that your hands are as comfortable as possible no matter the condition. 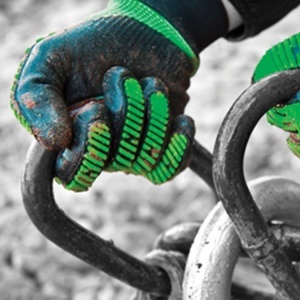 The liner in the Hydro C5 TP gloves provides it with the maximum levels of cut, abrasion and tear resistance to ensure your hands stay incredibly protected while you work. Despite the high level of protection offered by the liner it remains incredibly lightweight and comfortable to wear, ensuring that tasks can be carried out easily and safely. 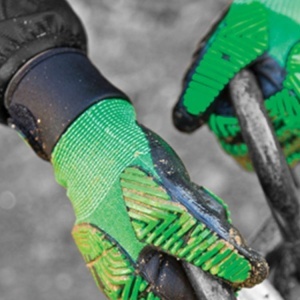 The backs of the Hydro C5 TP gloves feature modified thermoplastic impact protection. This keeps hands defended against impact without restricting movement, helping you ensure you're safe on site while still being able to do your job easily and effectively. 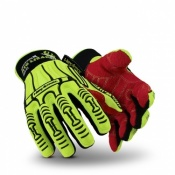 The fingertips of the Hydro C5 TP gloves are incredibly tactile and touch-sensitive. As well as helping you feel objects more easily, this also enables you to use touchscreens accurately and easily without having to remove the gloves. Please find the conformity statement and user information for these gloves by clicking the PDF link below.